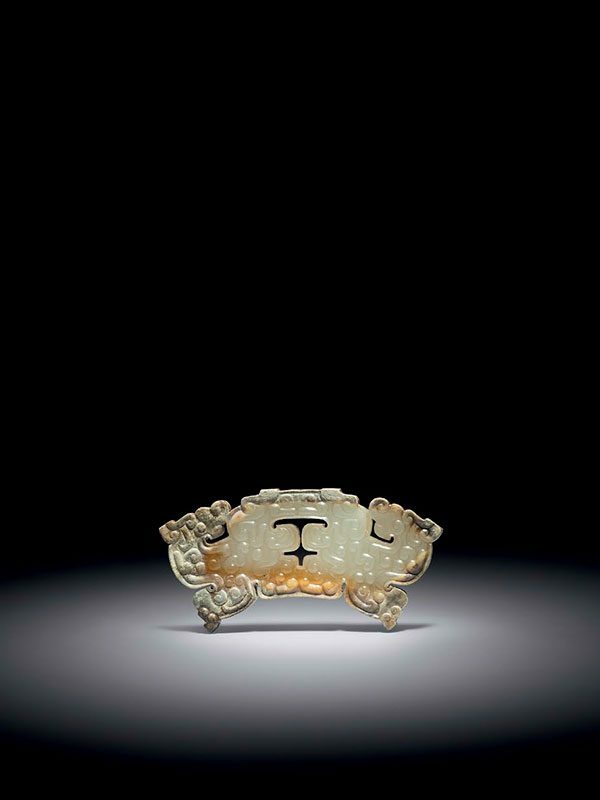 A jade pendant of arched form, huang, formed as two dragons with their heads turned back. Each dragon is symmetrically depicted in silhouette with a horned head, sinuous body and strong forelimb with claws. The dragons’ lower bodies are connected. Each body is adorned with a dense pattern of S-shaped, silkworm-like motifs in low relief. A narrow band of striation runs parallel to the outline of the pendant. The stone is of predominately yellowish celadon tone with some areas of calcification visible.